Work was long today. I had 8 classes, which is the maximum possible under the scheduling system used. There were good, bad, indifferent – as usual. It’s pretty tiring, though, but I felt positive at the end of the day. I took some pictures walking to work – not sure why, just a random impulse. Here’s a view of where I work. It’s the building with the bright yellow sign on the top floor (5th floor), across the street, a little bit left of the centerline of the photo. The sign says 카르마 [kareuma = karma]. 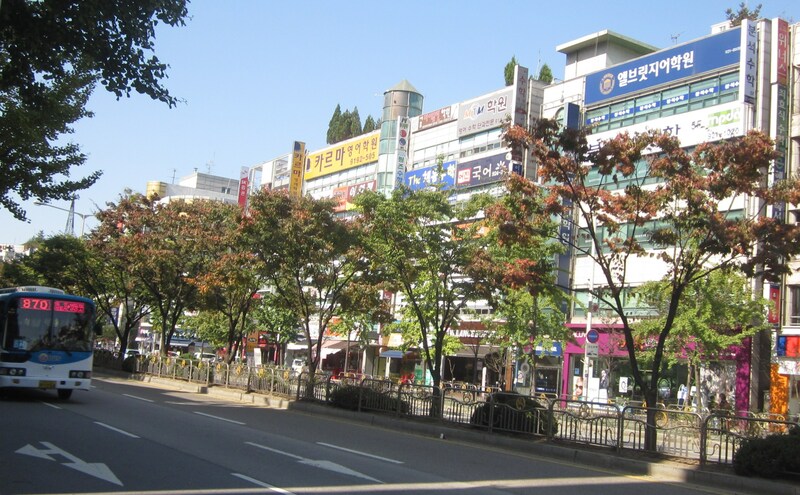 Note that I’m standing in front of my previous Ilsan place-of-work.